Home / Etceterini / Are You Ready for the Classic Car Rally? Are You Ready for the Classic Car Rally? 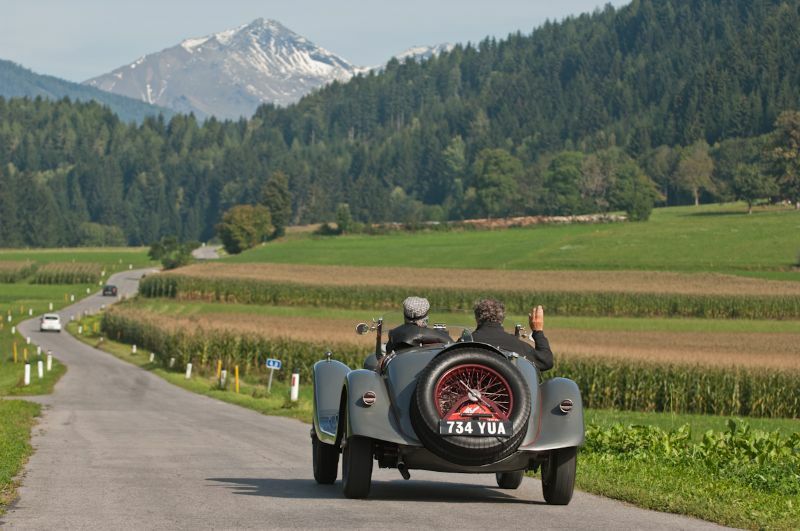 So, you’ve decided to sign up for a multi-day classic car tour. Maybe it’s a low-key tour with a local club or rally organizer. Or maybe you’re ready for one of the better known North American tours like the California Mille, Colorado Grand or the Copperstate 1000. Or are you bold enough to take your favorite touring car overseas to ride in an international tour through countries you’ve never visited before? No matter which event you choose, you can be sure you’ll rack up significant mileage and take in some breathtaking scenery. Are you ready? Is your co-driver ready? Most importantly, is your classic car ready? Now that you’ve invested considerable time and money, make sure neither is wasted. I have worked as part of the mechanical support crew on the California Mille and this year’s Orange Blossom Tour in Florida, and I witnessed firsthand how simple malfunctions—like a dead battery or a small fuel leak—can ruin a ride. Engine health: Does it leak, smoke, stumble or cough? Try to address any of these symptoms as they could be indications of a serious problem. Brakes: If you haven’t had a look at your brake pads, rotors, drums, lines or cables in a while, now is the time. If any of these components look tired, it’s time to change them. Fresh brake fluid also helps. Electrical system: No spark, no fun. Check the output of your alternator/generator. Make sure all wiring is in good order and your battery is fresh. Tires: Make sure the air pressure is where it should be, and look for signs of dry rot. Spare parts: If you can carry a few spare parts, do so—things like water pumps, generators and fan belts. Speedometer and odometer: You’ll likely be given a route book that has directions down to the tenth of a mile. You can get by with an inaccurate speedometer, but your co-driver will have to be on top of your location. If your car has any other quirky systems that are critical for its operation, be sure to have them checked. GPS: As mentioned above, you’ll be given a route book with directions. However, if you get lost and need to get back to the hotel or a final destination fast, a global positioning system is invaluable. Roadmap: Sometimes these are provided by the rally organizer. If not, a paper roadmap can be a lifesaver when there is no cell phone service and the GPS is sending you down the wrong roads. Insurance ID card and registration: “Yes, officer, they’re right here in my … err … glove box ….” Make sure you have all the necessary documents before you hit the road. Fire extinguisher: Small fires can become big fires in a hurry. Make sure you have an extinguisher that is rated for fuels, oils, grease and electrical fires. Camera: Unless you’re hiring a video crew to film a documentary of your travels, bring a camera and use it. Just don’t take picture while operating the car. You’ll likely find that rally organizers and fellow drivers are plenty helpful if you get into trouble. You’ll never be too far from a friendly face as long as you stay on course. Get the cell phone numbers of the rally organizers and the trouble-truck drivers before you set out. Most importantly, drive safely and be sure your car is properly insured. By the end of the tour, you will have made many new friends, and you’ll know your car better than you ever thought possible—for better or worse. from the the pre-war perspective i must sat sorry but your checklists are in the obvious category for taking a car out for the afternoon. in terms of preparation you need to spend a solid day driving the car to see how you feel- what hurts and what can you change to make it better, shoes etc. *a large waterproof bag with full weather gear, you can buy fairly cheap and compact rain gear. Jeff Walker is a senior collector vehicle insurance specialist with Chubb Collector Car Insurance. As the son of a drag racer and auto restorer, he was born with a wrench in his hand and learned the trade at an early age. His specialty is 1960’s and 1970’s American muscle cars, but his mechanical ability has allowed to work on all types of cars from Alfa-Romeos to Mercedes-Benz Gullwings and everything in between. Jeff is also a motorcycle fanatic and maintains a small collection of unique bikes.